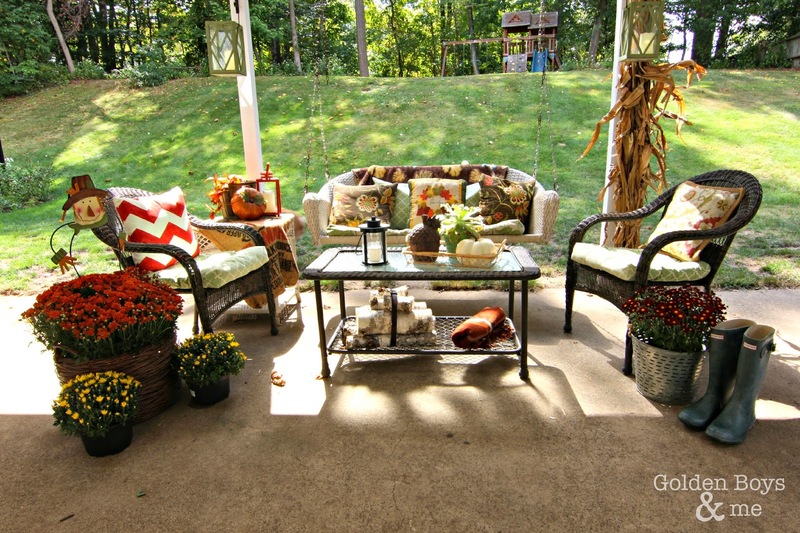 I added a few fall touches to our covered patio this year. For some reason, for the past 7 years that we have lived here, we usually just put away our summer stuff, stacked up our firewood, and left this patio empty. 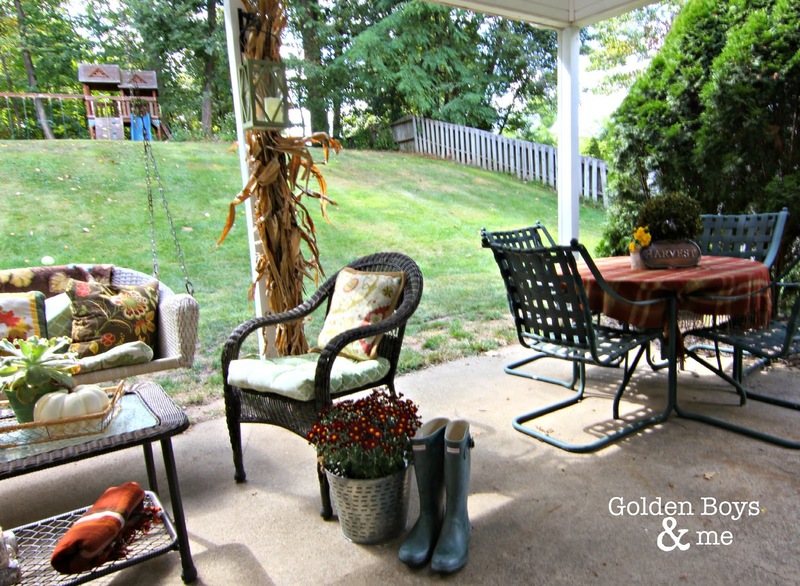 We always decorated the front of our home for fall, but we are really enjoying having this space to hang out in when we walk outside our family room. 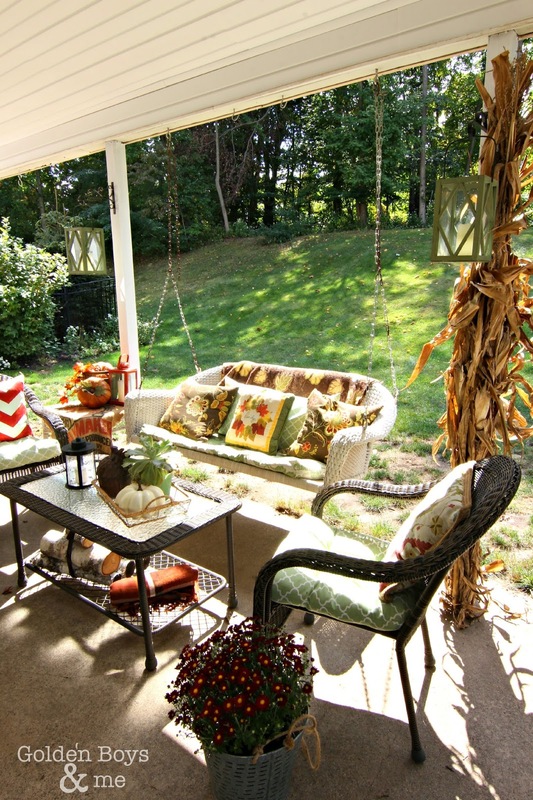 I left the white porch swing up, but swapped the white wicker furniture that is usually here for this brown all weather wicker that we purchased for our pool area this summer. 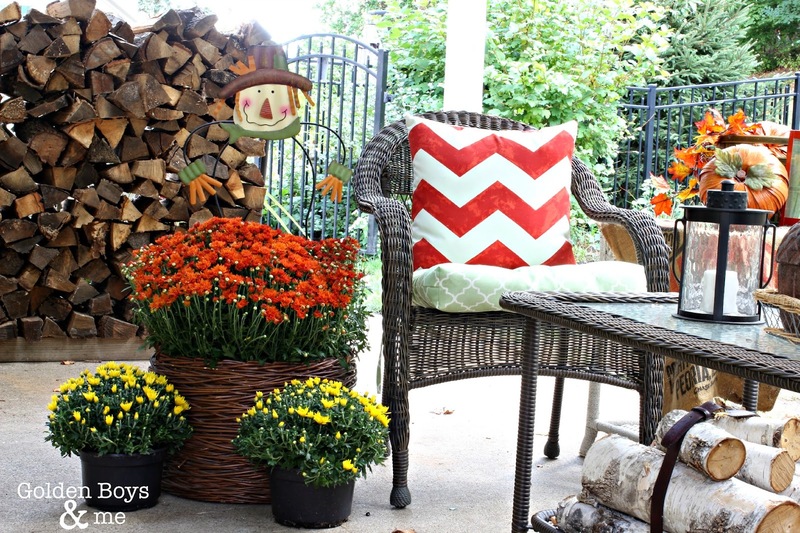 I added a few mums in baskets and tied a brown leather belt around some birch logs. 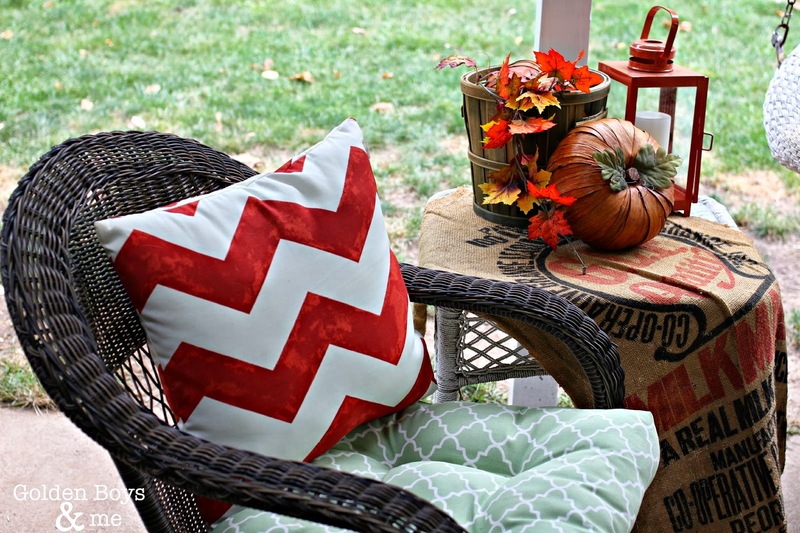 Thank you, Pinterest (and the fabulous bloggers whose ideas are shared there), for so many great ideas for fall. 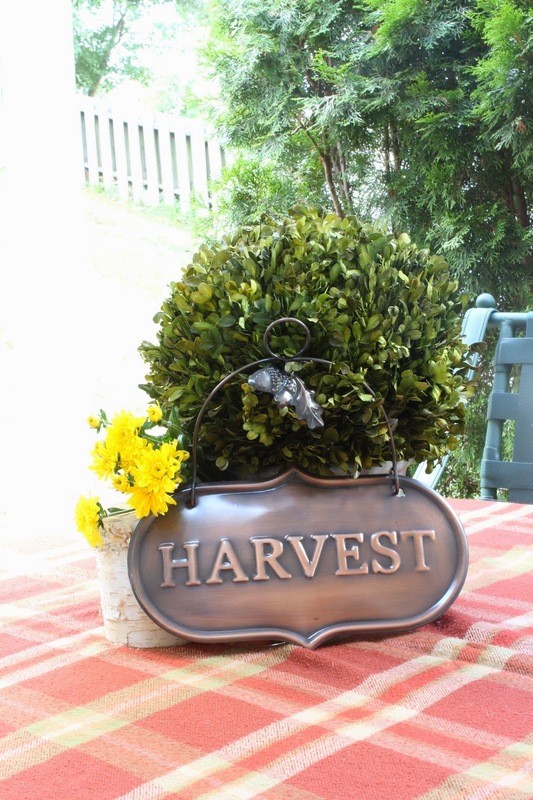 I added a mum to our olive bucket 'cause Pinterest told me to. Yeah, and the boots too. I covered our white wicker side table with an old feed sack to make it a bit more rustic. And used a plaid blanket as a tablecloth on our small dining table. We are all set to have lots of fires on those cool fall evenings too. Our firewood stays nice and dry under the covered patio. 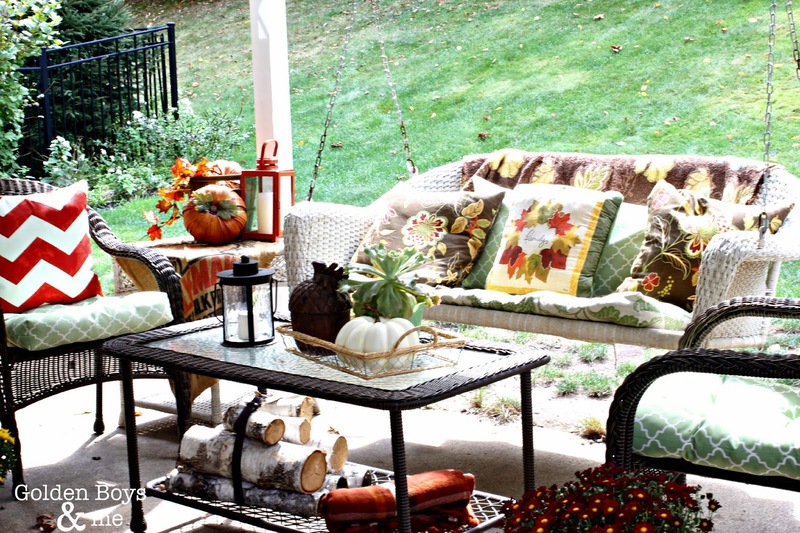 Do you usually decorate your back patio or deck for fall? I have no idea why I didn't think to do so sooner! Looks so cozy and inviting! 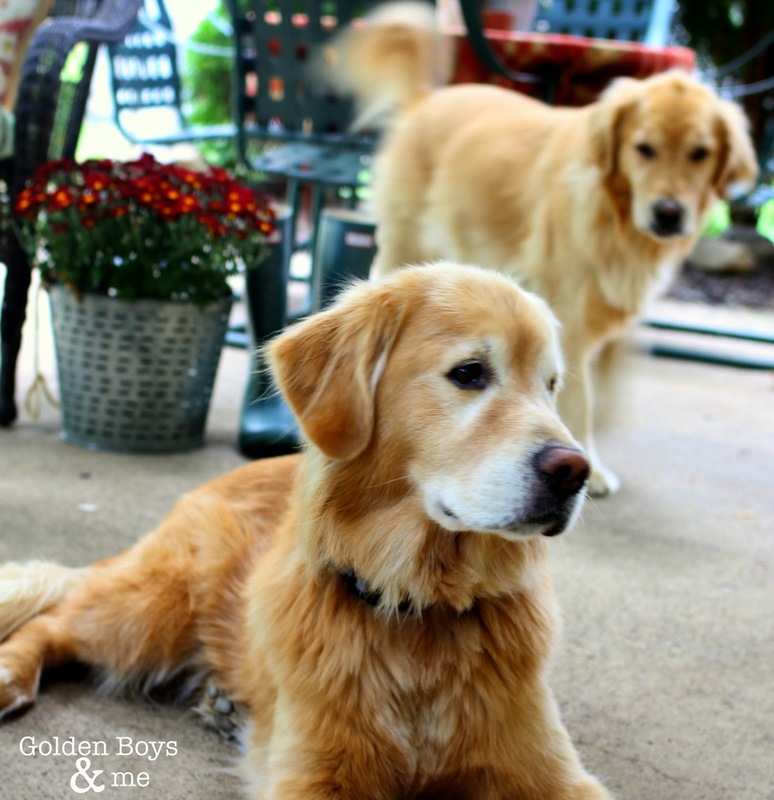 I fall fluffed our screened room too and I am really looking forward to having our first fire in the patio wood stove! Enjoy!!!! Thanks Gena! 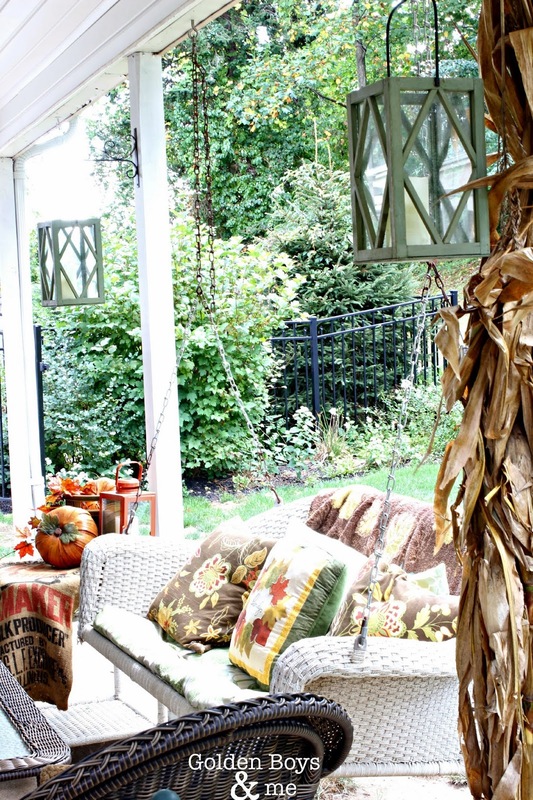 A fire in the patio wood stove sounds delightful! So pretty Courtney but the dog picture is my favorite!